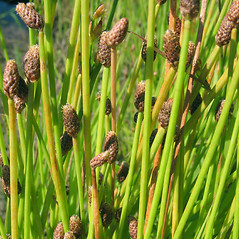 Blunt spikesedge is found on pond and river shores and in disturbed, wet areas. 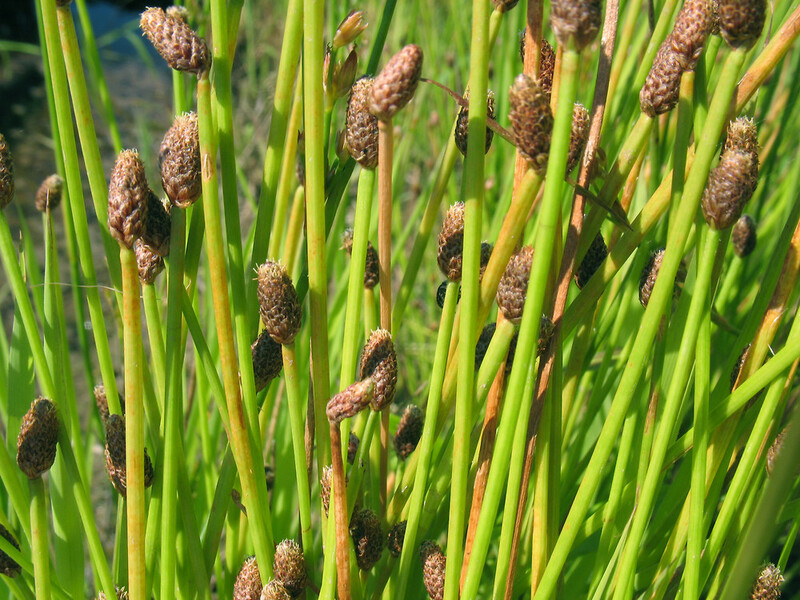 There are two varieties in New England, one of which is widespread and common, while the other is rare and restricted to Maine and New Hampshire. 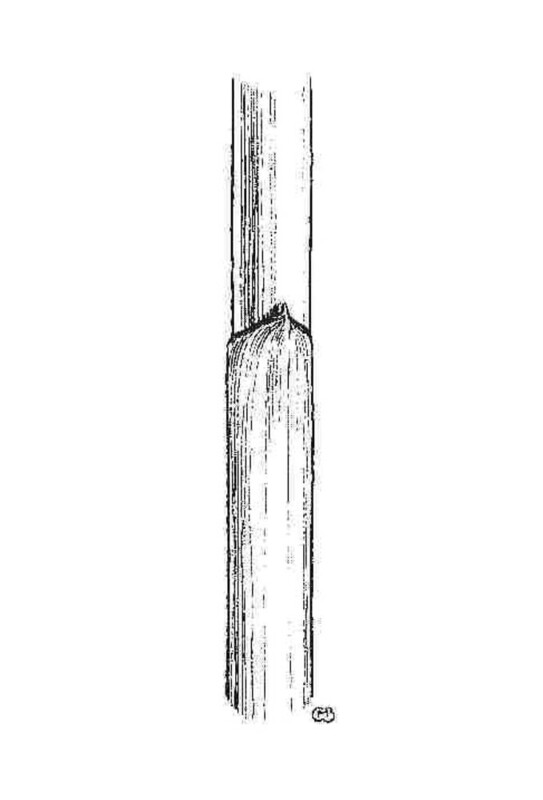 tubercles 0.12-0.23 mm tall, styles usually bifid, and perianth bristles usually not exceeding the tubercle (vs. E. obtusa, with tubercles 0.2-0.4 mm tall, styles usually trifid, and perianth bristles usually exceeding the tubercle). 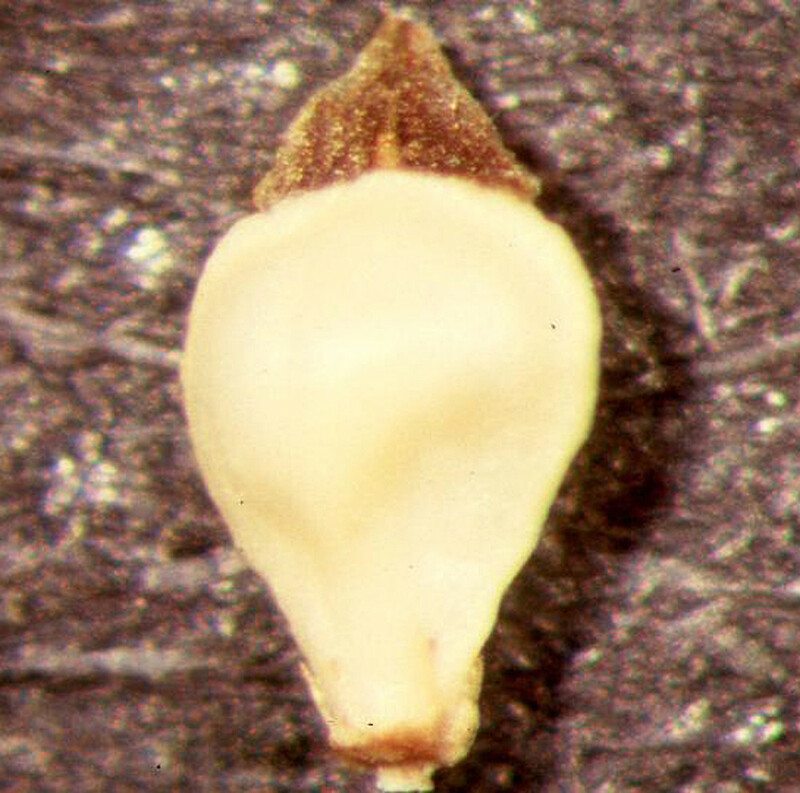 tubercles 1/3 to 2/3 as wide as the achene body and styles usually bifid (vs. E. obtusa, with tubercles 2/3 to almost fully as wide as the achene body and styles usually trifid). 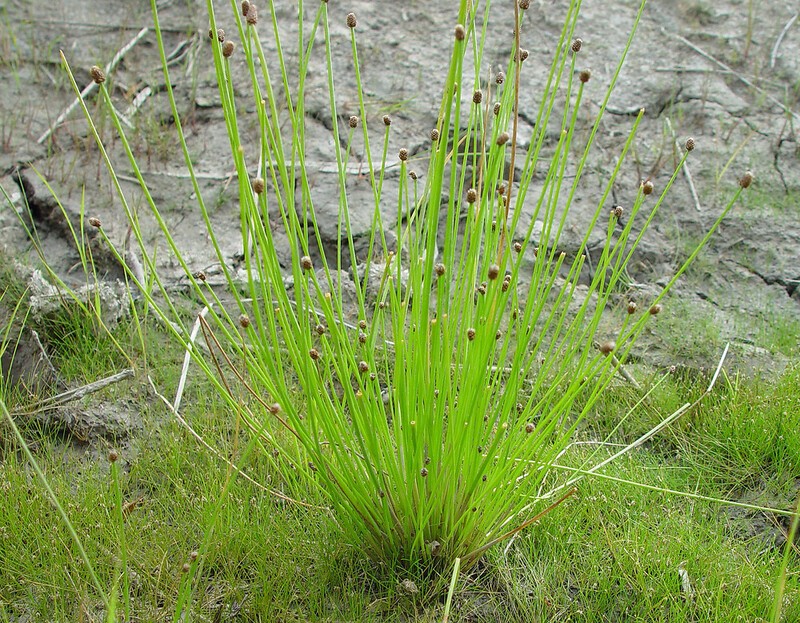 Eleocharis obtusa var. 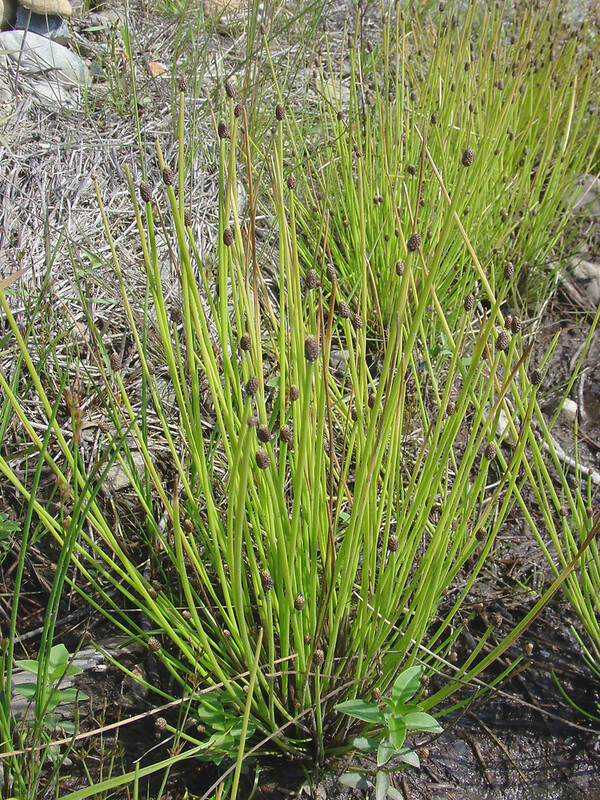 jejuna Fern. 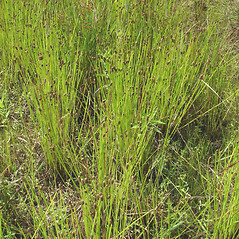 Eleocharis ovata var. obtusa (Willd.) Kükenth. 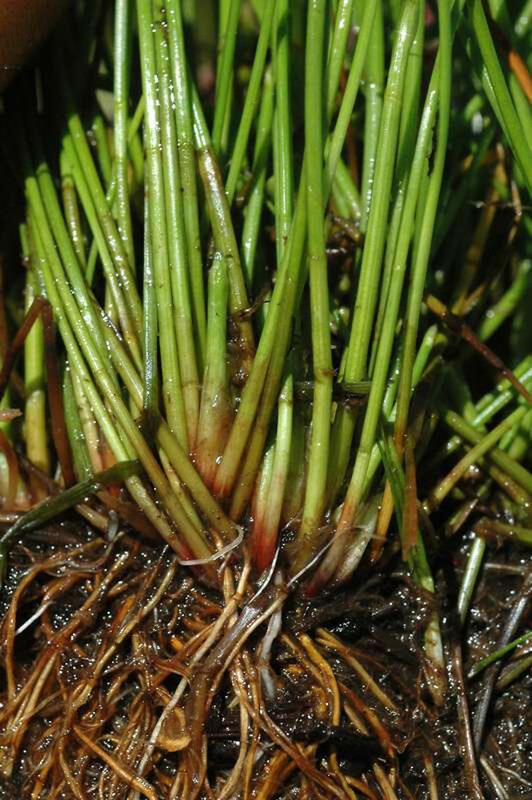 Eleocharis obtusa (Willd.) J.A. Schultes var. 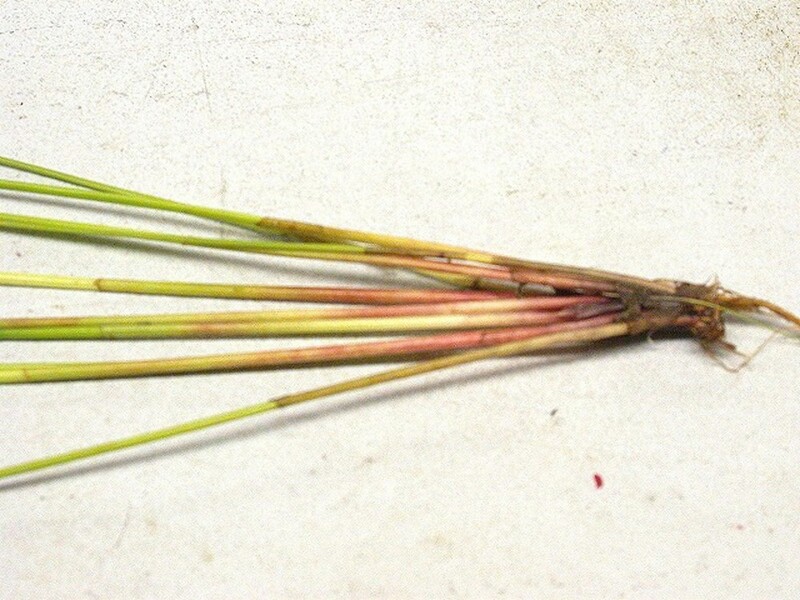 obtusa is known from CT, MA, ME, NH, RI, VT. E. obtusa var. peasei Svens. 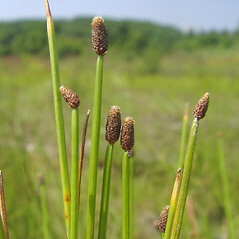 is known from ME, NH on sandy pond shores and river flats where water levels fluctuate, and is of conservation concern. 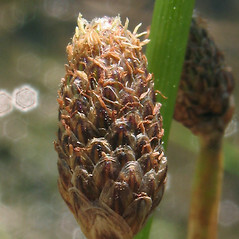 blunt spikesedge. 16a. 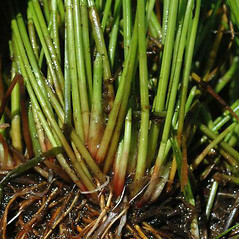 Eleocharis obtusa (Willd.) J.A. Schultes var. 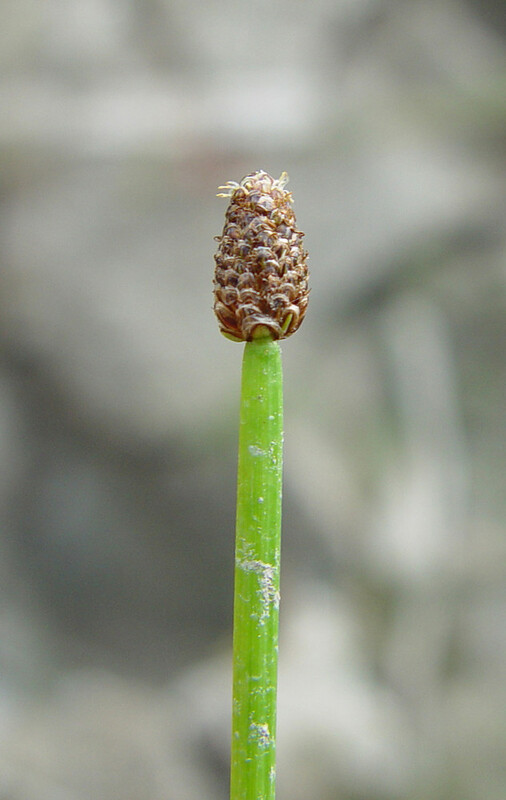 jejuna Fern. 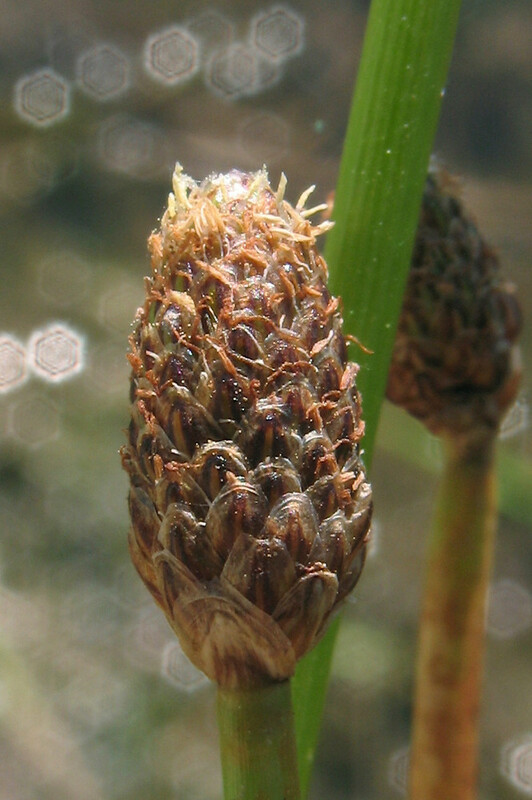 ; E. ovata (Roth) Roemer & J.A. Schultes var. 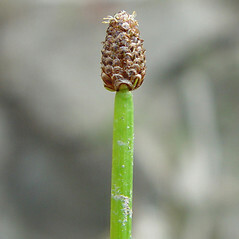 obtusa (Willd.) Kükenth. 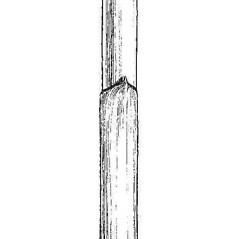 ; Scirpus obtusus Willd. • CT, MA, ME, NH, RI, VT. Low, wet areas, pond shores, river shores (these rarely tidal), meadows, disturbed wetlands. 1b. 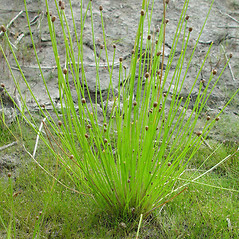 Perianth bristles lacking or, if present, numbering 2–4, smooth, and shorter than the achene body … 16b. 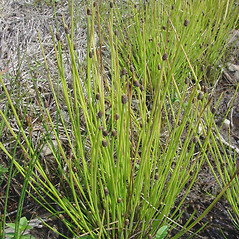 E. obtusa var. peasei Svens. 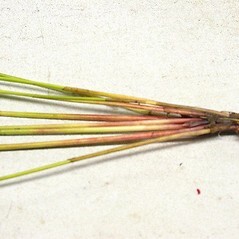 Variety obtusa is known from CT, MA, ME, NH, RI, VT. 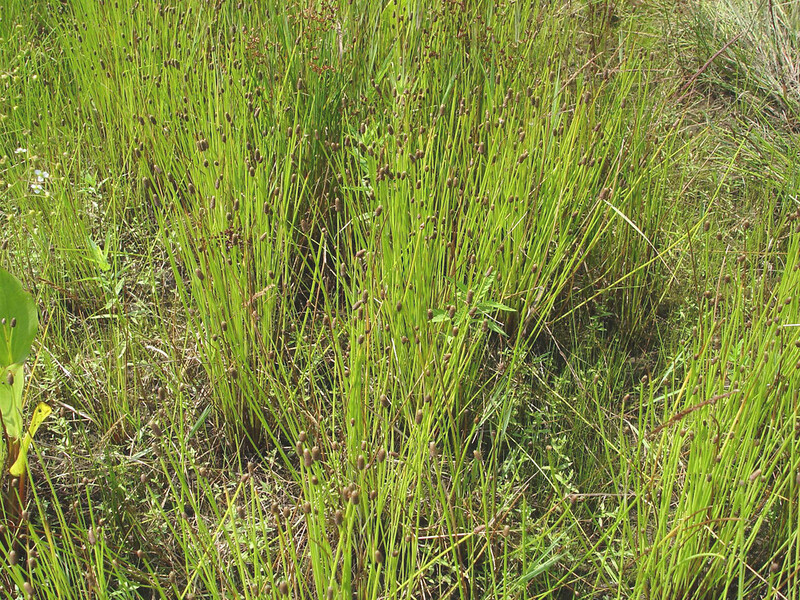 Variety peasei is known from ME, NH and is of conservation concern. 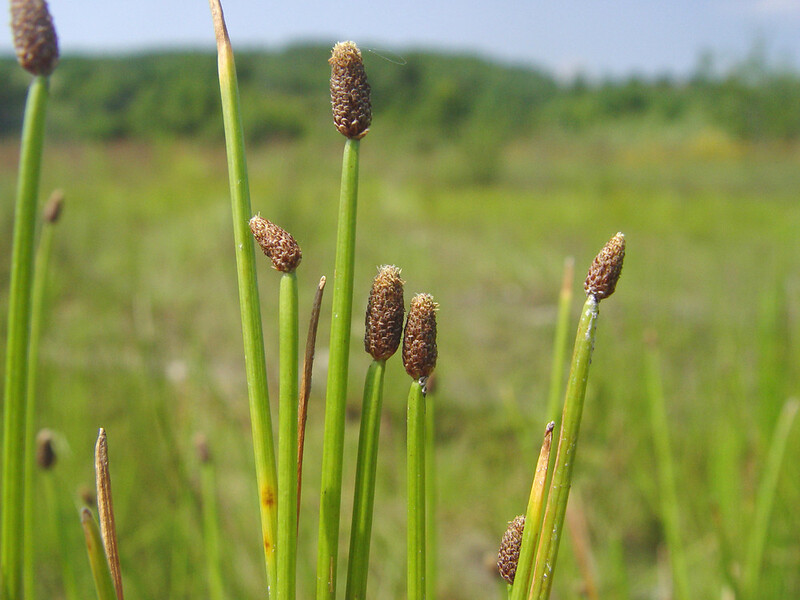 It is usually found on sandy pond shores and tidal river flats (i.e., places where the water level might fluctuate tremendously daily or seasonally).